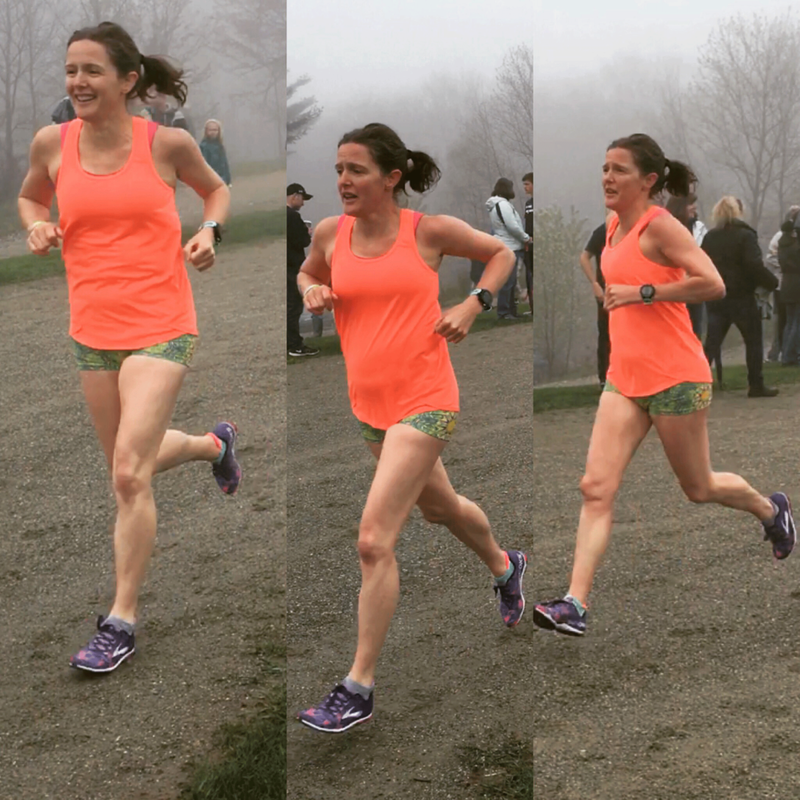 Get to know Erin, and get ready to cheer her on Marathon Monday! Erin Kelly from New Hampshire here! I teach high school English, coach cross country, indoor, and spring track, love to read and pet dogs. Running the Boston Marathon is something I've wanted to do since the 8th grade when I went to watch my best friend's mom (basically my second mom) run it. She hurt her knee and we ended up walking the last few miles with her, at which point I decided that I'd be running Boston one day. That was the 101st running of the marathon, so it took me a few years, but I'm in! So many reasons! My first Boston experience was walking in with my best friend’s mom in 8th grade, which planted the seed. I went to college in Boston and later worked there and was inspired every year. Pretty much the only reason for me to marathon was to qualify for Boston. Mentally it was 400s at a much quicker pace than I’d been running so far this block. Physically there have been some intervals that were much harder than expected. Really, hitting any paces so far. My coach has more faith in me than I do. I do pre-run videos before every run, and some moves from the post-run videos after every run as well. High Mileage Reset is a weekend favorite (I’m obsessed), and the hip videos helped SO much after slipping on some early season ice. What’s your favorite video for workout day? High Mileage Reset for the night before AND after a workout or long run! I also do pre-run videos before every run. High Mileage Reset or Recovery Boost for Runners. Similar moves and blissed out mood. I bet you can guess… High Mileage Reset. How have you used Work IN book this training cycle? I’ve been using a lot more meditation this past year in general and it’s been life-changing. What’s a restorative yoga pose or breathing exercise that’s been most helpful? I’ve loved the Full Body Mobility series at the back of Work IN book, and do the Full Body Mobility video often! Best pose is always legs up the wall. Family, friends, students and athletes I coach. Follow Erin on Instagram and Twitter and be sure to give her some love as she approaches race day!